Ch. 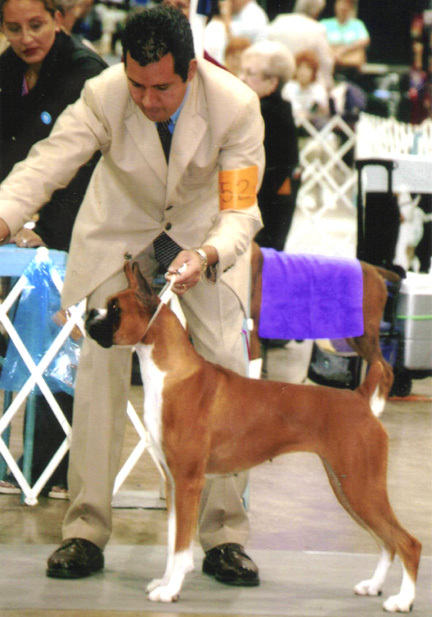 Robinson's Jubilee Edition "Angie"
New Champion - Angie shown above on June 23, 2007, winnng Best of Winners for a five point major, under Judge Larry Sinclair, handled by Jorge Olivera, at the Electric City Kennel Club Show in Great Falls, Montana !!! 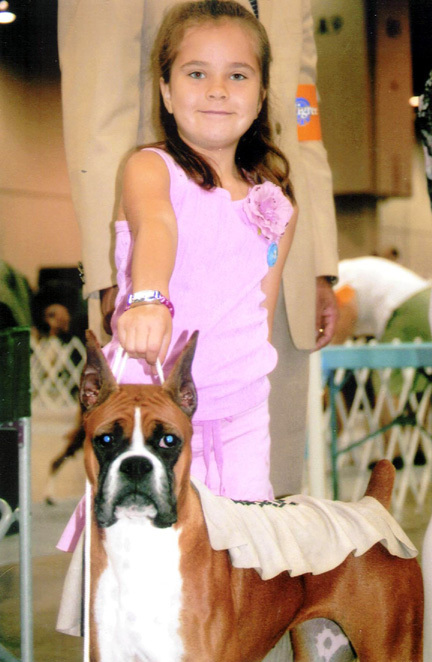 Angie shown above in August, 2006. Mr. L.R. Mapes, Mr. T. Stacy and D.P.Cline. This was Angie's second weekend out!!! 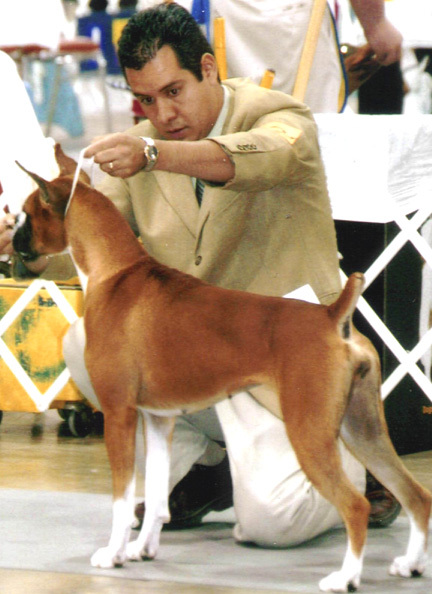 She was handled by Jorge Olivera for classes and winners and by Sergio Olivera in Breed.